Home > Blog > More snow….really? Glad I didn’t change the winter tyres off my van yet! 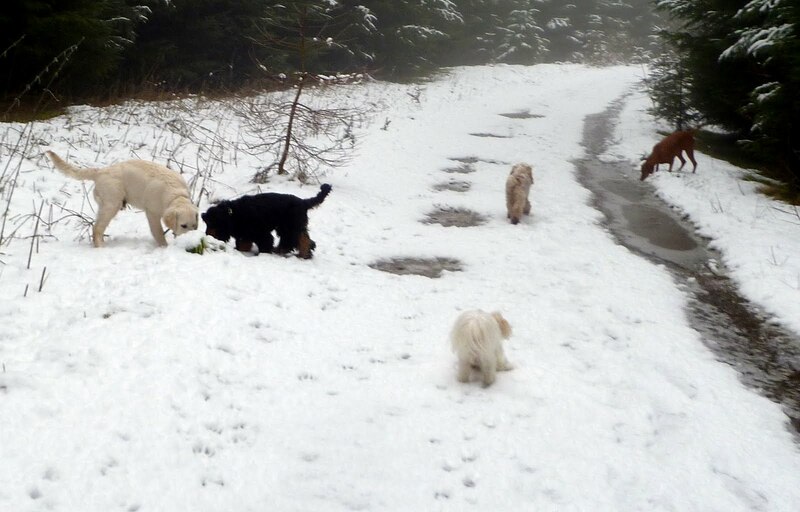 The snow is actually quite deep up at Mugdock – thought I had seen the last of the snow but obviously not!! Great walks today with all my usual suspects, but I have to say that Coco is very pleased that the snow hasn’t gone yet – she absolutely loves it! !